Kate at Margaret River continues to be crawled over by countless children, but is well protected from the elements. This photo is courtesy of Mark Smith and dated 14 July 2007. Kate is a 0-4-0WT locomotive constructed for a timber tramway by Leeds company Thomas Green & Son as their builder's number 132 of 1889. It later worked at the Wyndham Meatworks & pier in the remote north-west of Western Australian. Kate has been displayed in a park at Margaret River for many years. It received a cosmetic restoration at Boyanup in 2001 which included removal of old asbestos boiler lagging. 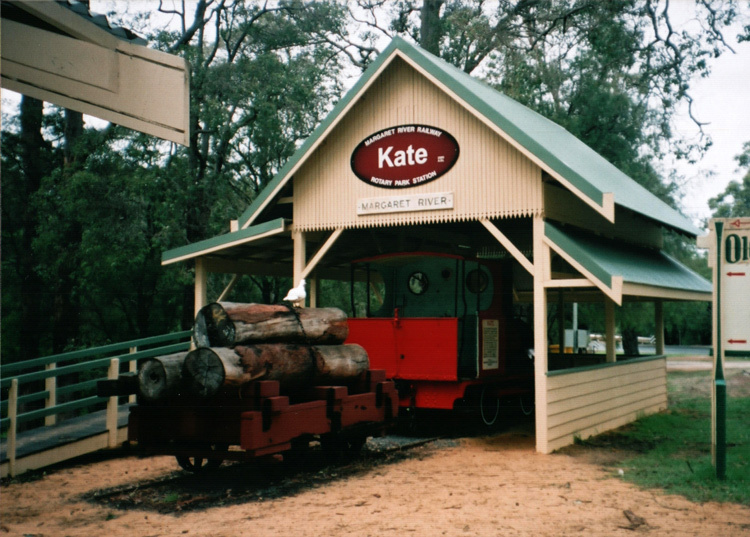 Kate returned to Margaret River on 25 August 2001 and a decorative weather shelter has been built to display the locomotive under cover. This scanned photo shows Kate and 4-wheel log cart on display at Margaret River on 13 May 2002. 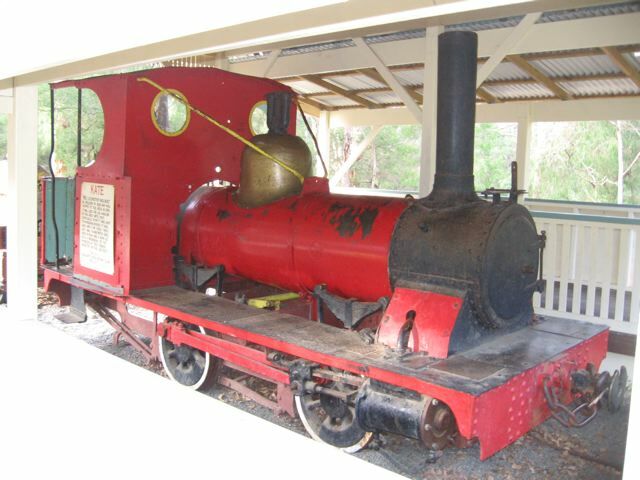 Number 161, October 2001, published by Light Railway Research Society of Australia Inc.